MacBook fans are serious about their Apple products. You have to be in order to swallow the price tag that comes with all Apple products. I do believe when I bought my MacBook I called it an investment. Now that the keyboard is fried all of one year later and I’m looking at a huge repair bill, I’m starting to question my own sanity. However, the truth is I still love my MacBook, despite that I’m using a USB keyboard to be able to work it. If you’re just as head over heels for your MacBook, here’s one kitchen product you just have to have. Mac lovers should never be stuck cutting up their food on a normal cutting board. 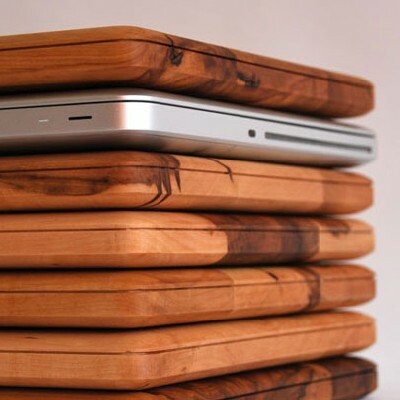 No, you need one made to look identical to your beloved MacBook. They didn’t use just any wood to make this either, it’s made out of apple tree wood. You can purchase one for EUR 43 or right around $54 by going here. If you are looking at a huge repair bill after only a year then you must be rough on your tech. If you had a Apple Care Plus for just a little extra on your purchase price all repairs would be completely covered. If a rep is telling you it is not, get a second opinion from another Apple rep. Good luck!